Composed in October 2013 for the Sovereign Brass Union, this 3-minute fanfare is for 10-piece brass ensemble and organ it was premiered in concert at the Basilica of the National Shrine of Mary, Queen of the Universe on November 3 at the Power and Glory of Brass Concert. The audio below was generated with the Finale music notation program. For many years when planning large multilingual diocesan celebrations, I felt Latin would be the best option for the Mass Ordinary. Because these special celebrations often are festive occasions where I had supplemental instrumental resources, using the traditional Latin chants always felt out of place, especially for the Gloria which follows so soon after what typically is a rousing entrance procession. Even though I love chant, the contrast between styles always seemed to make this hymn of praise more of a funeral dirge. Finally, I took the time to write a more festive accompanied setting of the Latin text for the closing celebration of the Centennial of Holy Redeemer Catholic Church in Kissimmee, Florida. 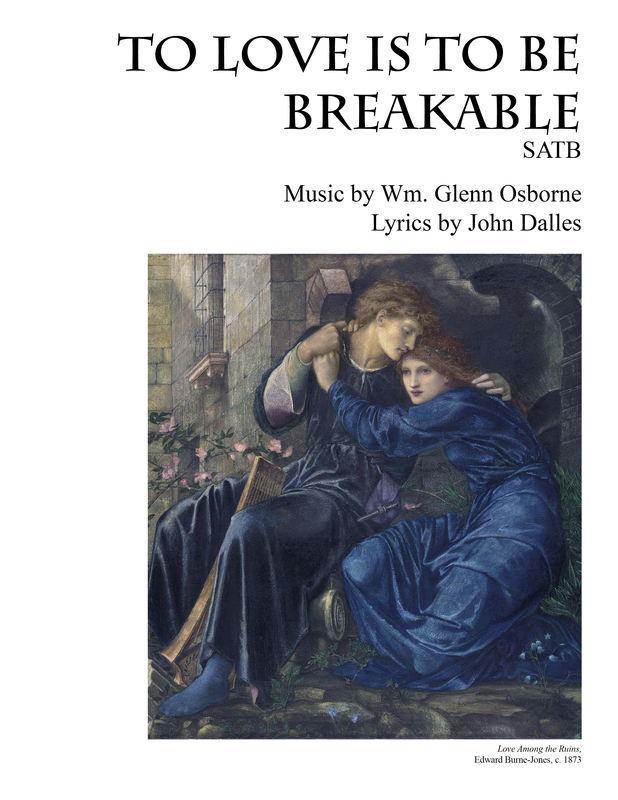 While I may eventually do an SATB version and instrumental parts, the piece was first performed by on June 30, 2013 in unison by the combined choirs of Holy Redeemer. There is a congregational-friendly refrain and the verses are marked for women/men/all choral groupings but could just as easily be sung by a cantor alone. Purchase of the downloadable score grants permission to reprint as necessary for performance by the person or organization. All other rights (including further distribution) are reserved. Written by request for the choral concert given on May 22, 2011 by William Picher and the Basilica Choir with friends. The choral group for the day contained 16 singers, and Bill was looking for a 16-voice piece. I sat with this request for quite a while before finally settling on this text and the general style of the piece. Most of the piece is written for 8-part choir, but the middle section is a 16 part fugue. The recording below was made at the dress rehearsal prior to the concert. Adnuntiate diem de die salutare eius. Purchase of the PDF download includes permission to reprint copies as necessary for performance. 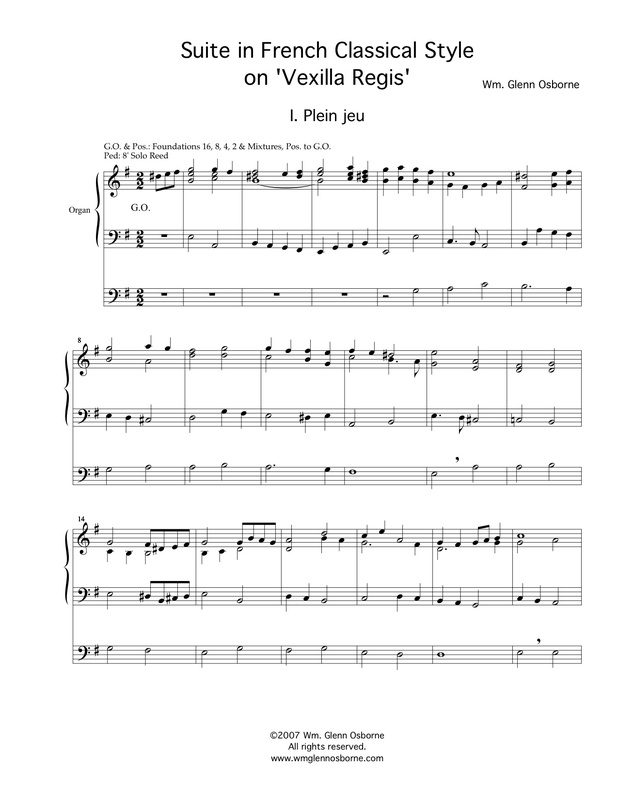 This is an arrangement of the Easter Hymn O Filii et Filiae for SATB choir, organ and brass quintet. It was originally written for the 25th anniversary of the episcopal ordination of Howard Hubbard as Bishop of the Diocese of Albany. The event was celebrated on the Second Sunday of Easter and needed a lengthy piece for the entrance procession. In addition to including all nine verses of the hymn there are interludes between each verse. This arrangement served as the basis for the later arrangement used at St. Patrick’s Cathedral for the Papal visit to New York City. The score packet includes a full score, choral score, and parts for organ, horn, trumpet 1, trumpet 2, trombone 1, and trombone 2. Purchasers are granted permission to print or reprint scores as necessary for performance. 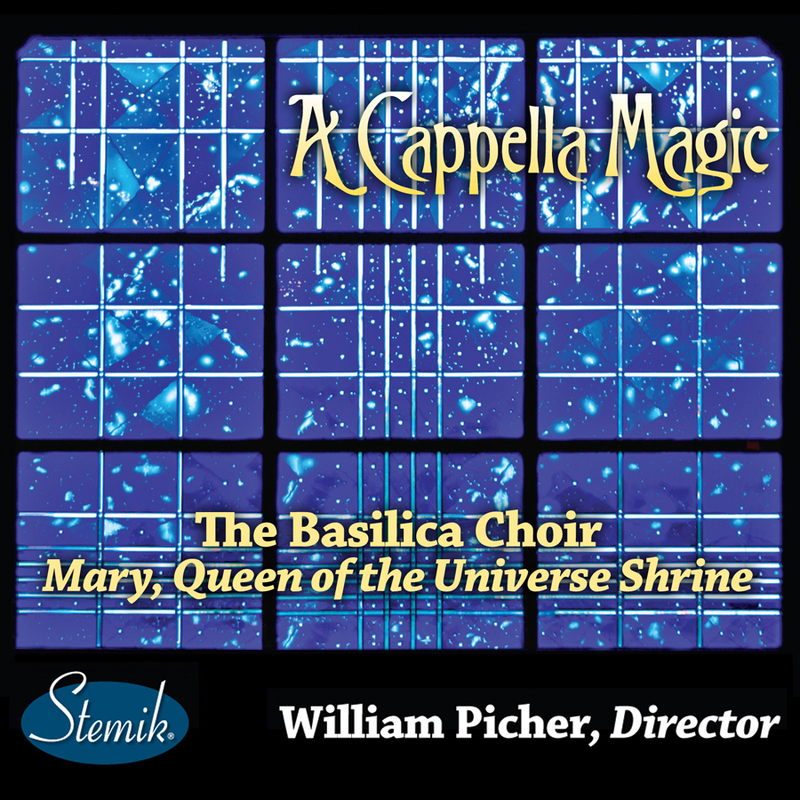 This recording by the Basilica Choir and William Picher includes my composition Salve Regina. The piece was written specifically for them, and I was delighted that they chose to include it on their recording. 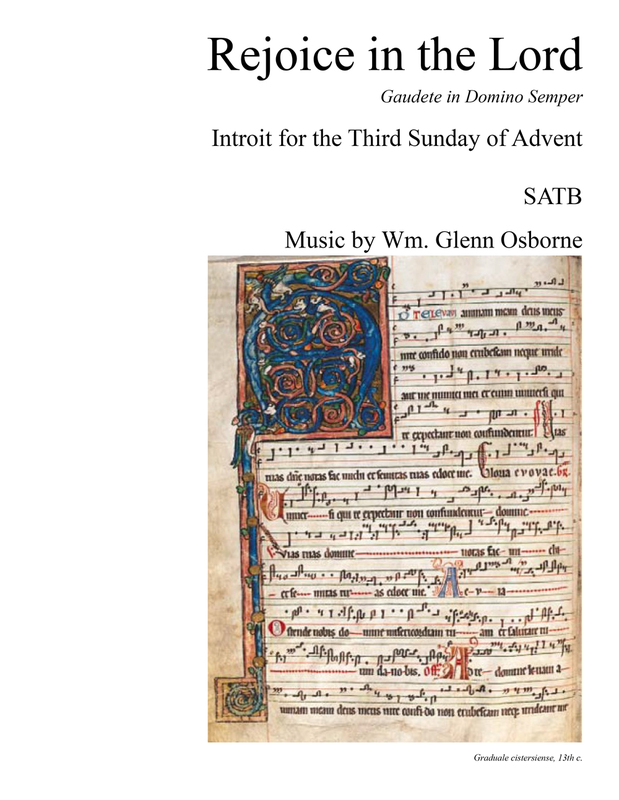 This musical setting of text from the introit for the third Sunday of Advent is written for unaccompanied SATB choir. The lyrics use both Latin and English phrases from the introit. The music alternates between short unison chant sections and longer polyphonic sections based on ideas found in the original Gregorian chant. Deus meus in te confido. To You, I lift up my soul. 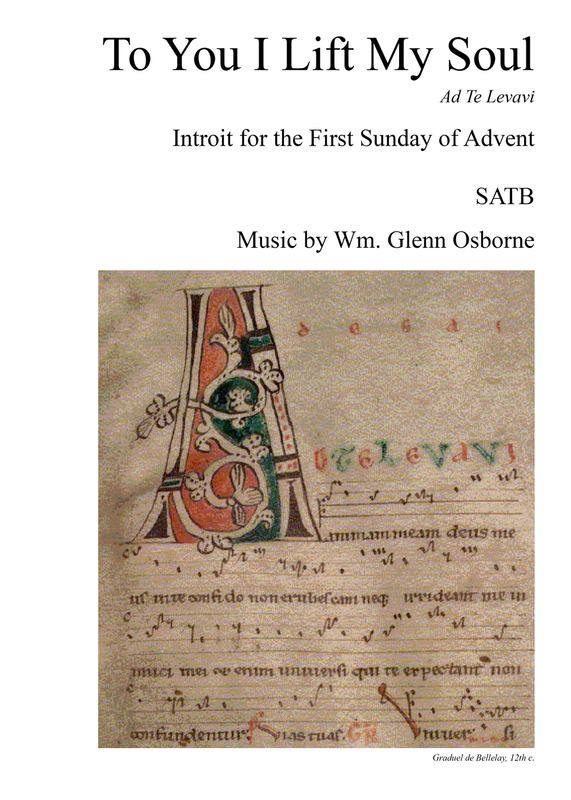 This musical setting of text from the introit for the first Sunday of Advent is written for unaccompanied SATB choir. The lyrics use both Latin and English phrases from the introit. The music alternates between short unison chant sections and longer polyphonic sections based on ideas found in the original Gregorian chant. Written by Venantius Fortunatus (530-609), Vexilla Regis is one of the great chant hymns of the church. Appropriately sung at vespers from Passion Sunday until Holy Thursday, on the Feast of the Triumph of the Cross and even on Good Friday, the hymn was originally written to celebrate the arrival of a large relic of the True Cross in Poitiers, France. 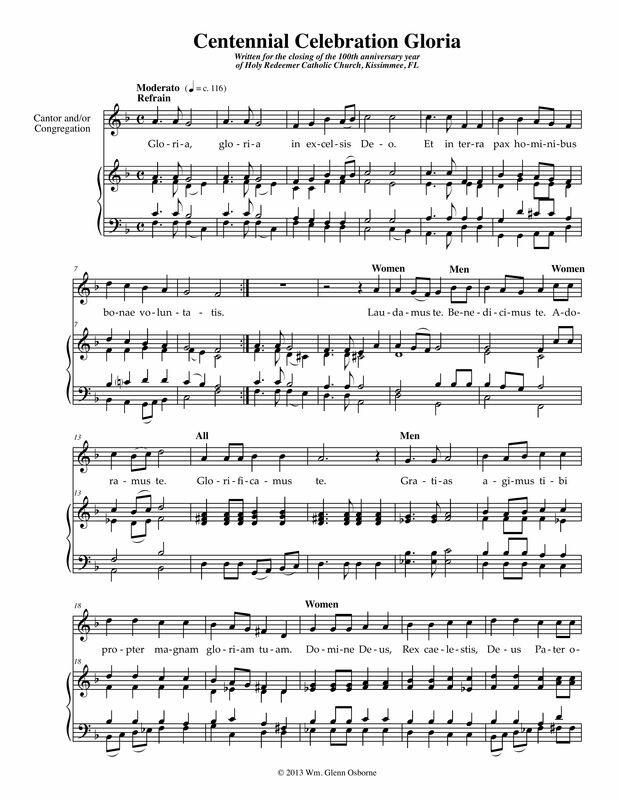 In the French Classical tradition when singing hymns, the organ alternated verses with the choir. Having always enjoyed the sounds of the French Classical organs, when I had the opportunity to play a recital at Westminster Presbyterian Church in Albany, NY on Palm Sunday, I decided to write a suite for organ on this great hymn of the cross. The suite contains six movements and uses traditional tonal language and registrations of the period.